This site is now closed down. JumpB facilitates online shops with a market entry into and between the Nordic markets. We make it possible by working as your local agent and providing necessary market intelligence analysis and insights, supporting and helping you to get registered as a company, finding the right local partners, applying for different licenses and payment methods, and doing the online marketing for you. Our customers are all pure play online retailers, since it is pure play ecommerce we understand the best and are experts on. Before your company enters a new market, JumpB provides you with insights about the market. For instance, a competitive analysis on key players and their strategies, advice on where and how to register your company, and a recommendation how to adapt your online shop to the local standards. After the initial market launch, JumpB assists in optimizing and making the business profitable. The focus is on optimizing the online shop further to the local needs. This will increase your conversion rate significantly. Once launched in the new market, the single most important traffic source is Adwords. We help you to optimize your local Adwords, and to set up an SEO strategy and to execute copies of the most successful marketing campaigns your have done in your domestic market. We also help you with your affiliate marketing. JumpB implies for "Jump the Border". EU is a market where goods can cross the borders easily, but is challenged by different cultures and languages. Therefore, we want to help your online shop to Jump the Borders as easily as possible. JumpB wants to make Ecommerce global instead of being local and create value for all its clients when they do a market entry into the Nordic countries. JumpB wants to be the best provider of knowledge about market entry into the Nordic countries for Ecommerce retailers. Anders is the daily manager of JumpB. Anders has extensive experience with optimization and internationalization of online shops. Occasionally Anders gives speeches and presentations about Ecommerce, among others at Nordic Ecommerce Summit. Anders holds two Master Degrees; one in Applied Economics and Finance, one in International Management. You can follow Anders on Twitter here. Anders is writing a blog about International Ecommerce. You can read it here. 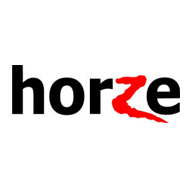 One of Sweden's largest and most Award winning online shop contacted us to optimize their Danish site, when they launched in Denmark. 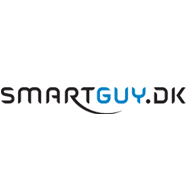 JumpB helped one of the most known online brands in Denmark, Smartguy, to set up their German business. JumpB did a market analysis for Coolstuff on German and Danish markets before the launch. Today, Coolstuff is the market leader in Denmark and also one of the largest German gadget stores. After Outnorth launched in Denmark, JumpB optimized their Danish site, and helped them to set up a Danish affiliate deal. After Stayhard had launched in Denmark, JumpB optimized their Danish site to the local standards. 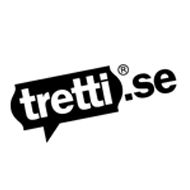 A Finnish online retailer entering the Danish market. JumpB optimized their Danish site to the local standards. 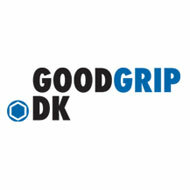 After GoodGrip.dk had launched in Denmark, JumpB optimized their Danish site to the local standards. 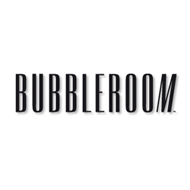 After Bubbleroom had made a launch in Denmark, JumpB optimized their Danish site. 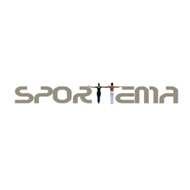 JumpB helped Sporttema with the SEM and optimized their Danish site.